One of Europe's most celebrated actresses, Carice van Houten is perhaps best known for her lead roles in Paul Verhoeven's award-winning BLACK BOOK, Bryan Singer's VALKYRIE opposite Tom Cruise and as 'Melisandre' in HBO's hit series, GAME OF THRONES. She can be seen in BRIMSTONE, this year's Dutch Oscar entry. Recent projects include Brian de Palma's DOMINO, INSTINCT and THE GLASS ROOM. Korneel Evers is a Dutch comedian and actor, known for his improvisational skills. He plays one of the leads in International Emmy Award winning children's movie Rabarber. Korneel can also be seen in numerous films and television series such as THE HEINEKEN KIDNAPPING and ICARUS. His most recent productions include the International Emmy Award winning children's movie RABARBER, Dutch comedy series FATHERS & MOTHERS and the Christmas movie ALL YOU NEED IS LOVE. 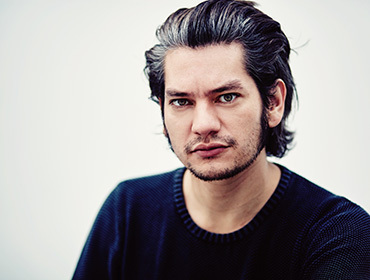 On the back of his critically acclaimed portrayal of iconic Dutch singer songwriter Ramses Shaffy in the TV series RAMSES, Maarten Heijmans quickly rose to fame in his home country The Netherlands. 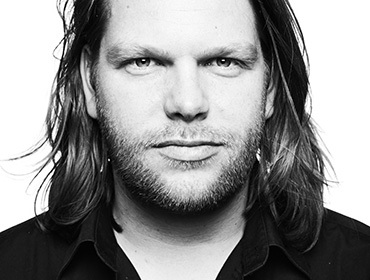 For this role, Maarten was awarded the Dutch Golden Calf 2014 and an International Emmy Award 2015 for Best Actor. The series itself won the international Prix Europe 2014 for Best European Drama. He plays the male lead role in the feature WEG VAN JOU that premieres in October 2017. Noortje Herlaar’s role in the critically acclaimed Dutch TV series MOTHER, I WANT TO JOIN THE CABARET earned her the Golden Calf nomination for Best Actress at The Netherlands Film Festival. Shortly after she starred in RAMSES, the winner of the prestigious Prix D'Europe 2014 for Best European Drama Series. For her role in RAMSES she won the Dutch critic’s award TV BEELDEN for Best supporting actor. Recent projects include the feature films IN MY FATHER'S GARDEN and THE HITMAN'S BODYGUARD, the TV series DR. ANNE’S MEN and THE TWELVE OF OLDENHEIM. Yootha Wong-Loi-Sing first came to the scene in 2013 with the lead role in the Dutch film THE PRICE OF SUGAR, the opening film of The Netherlands Film Festival 2013. Immediately she got awarded with a Best Actress nomination for The Netherlands' most important film award, the Golden Calf. She's making a leap to the global stage with her role in the new dramedy LOVE IS_ for OWN, the Oprah Winfrey Network, which aired in 2018. Next up is MACRO's romantic drama REALLY LOVE.